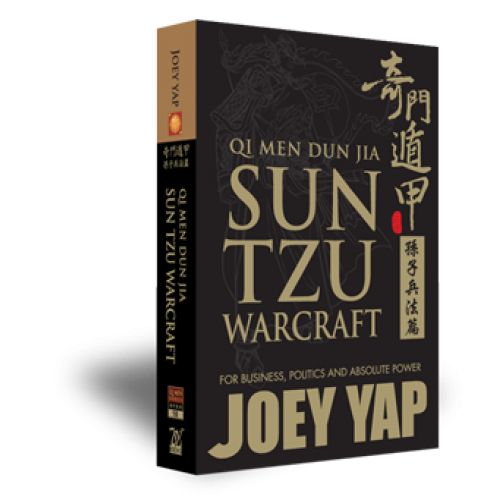 The Qi Men Dun Jia Sun Tzu Warcraft by Joey Yap is the first book of its kind that elucidates Sun Tzu's Art of War in detail. All thirteen chapters of the original classic have been meticulously transliterated line by line, without losing the accuracy of its original meaning. 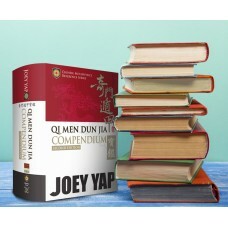 Modern day business commentaries based on Joey Yap's personal experiences in business as a successful entrepreneur are also included, taking into account the perspective of Qi Men Dun Jia application in today's context. 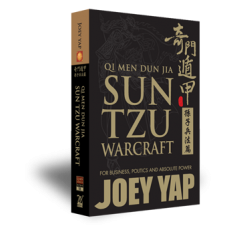 This book is intended to advance practitioners to a higher level of understanding on the Art of War, and transform the knowledge into a Tool of War in business and in life. Comprehend the importance of Strategic Assessment and its application in today's world. Focuses on the cost of waging war and the need to allocate resources intelligently and in sufficient quantities for success. Knowing yourself, your competitors and the circumstances for a successful offensive strategy. 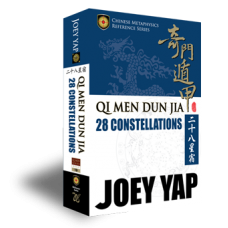 Learn how to win your battles by associating characteristics of the Nine Earth & Nine Heaven with reference to the 8 Deities governance. Distinguishes the existence and utility of both the mundane (direct) and extraordinary (indirect) forces in life. Understand the wisdom of pitting strength against weakness in order to achieve competitive breakthroughs. Learn the 3 Deceptions; Real Deception, Double Deception, and Nobility Deception in this chapter. Indicates whether or not the conditions at a particular time is supportive of the proposed strategic operation using the Nine Dun. 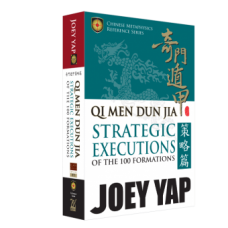 Identifies negative and best avoided formations in Qi Men Dun Jia to avoid the hazards entirely or to take the necessary precautions. Stresses the importance of understanding the terrain when directing troops and developing strategies. Identifies the nine possible types of battleground using the Nine Palaces (known as Jiu Gong ??) in a Qi Men Dun Jia Chart. Identifies the effective attack execution and the outcomes of a fire attack by assessing the right elements and conditions in a Chart. Examines the importance of gathering information about the enemy (or industrial competitors), through espionage.